If you’re vacationing to Hilton Head Island soon, here’s a quick look at the main parts of the island. It will help you decide where you’d like to stay and which area offer the style of vacation you may be interested in. Perhaps the largest area of the island is Sea Pines Plantation, which encompasses the entire south end. Here you will find the large entertainment, dining and shopping area of Harbour Town, three championship golf courses (one oceanfront), a 600-acre forest preserve, an equestrian center, five miles of beach and miles of bike paths. Centrally located on the island is Palmetto Dunes. Staying here makes anyplace you need to go on the island just a short drive or bike ride. Palmetto Dunes offers three award-winning golf courses (one oceanfront), a tennis center, an 11-mile inland lagoon, 3 miles of beach and lots of vacation homes and restaurants. Across the highway is Shelter Cove Harbour connected via bike path with more vacation rentals, Broad Creek, waterfront dining and shopping and seasonal live entertainment. Also located mid-island is Folly Field, though this can often be a quieter getaway with fewer crowds. Only 10 minutes from Shelter Cove, it’s still close to many activities and restaurants. You’ll also find plenty of white sandy beaches here, as well. Another great areas for shoppers is Forest Beach, which is close to the popular Coligny Plaza. This is one of the only non-gated areas of the island and everything you need is just a bike ride away. Head to the beach at the new Coligny Beach Entrance with water fountain, outdoor showers, restrooms and more. You’ll also find mini-golf, bike trails and lots of live entertainment in the area. On the northeast corner of the island is Port Royal, home to many vacation rentals and homes, as well as activities. Within this area, there are three championship golf courses, both freshwater and saltwater lagoons for fishing, an arboretum, a variety of historic sites and 19 beach paths. Which area of Hilton Head Island suits your style the best? For more information about Hilton Head vacation homes, visit http://www.SunsetRentals.com or call 800-276-8991. The Beach – Visitors will find 12 miles of beautiful beaches to splash in the Atlantic or sun in the sand. With its untouched natural setting, Hilton Head Island is a gorgeous place to wile away your day at the beach. Lighthouse at Harbour Town – One of the most popular attractions for tourists is the red and white striped lighthouse located at Harbour Town within Sea Pines Plantation. 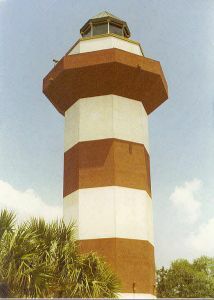 The lighthouse is an icon representing Hilton Head Island and a beautiful spot for a bird’s eye view of the island. You’ll also find plenty of shopping and dining in the area. Hudson’s Seafood House by the Docks – A longtime, classic seafood restaurant on the island, a little out of the main action but worth the drive, is Hudson’s Seafood House on the Docks. During busier months, expect to wait a while for your turn to dine, but the hush puppies, fresh shrimp and seafood galore is worth the wait. Broad Creek – One of the more lovely marshy areas of Hilton Head Island is Broad Creek. Visit the area at Shelter Cove Harbour & Marina where you can kayak, take a nature cruise or even jetpack over the water. There’s also a variety of waterfront dining options available. Head there around dusk to watch the sun set over the creek. Tanger Outlets – Shoppers will want to spend some time at Hilton Head’s Tanger Outlets. These popular shopping centers offer brand names at discount prices. Shoppers will find hundreds of stores ranging from apparel and jewelry to shoes and cosmetics. Oceanfront Golf – There are 24 golf courses on the island of Hilton Head, giving it the nickname, “Golf Island,” but only two offer oceanfront views. Don’t miss the award-winning Robert Trent Jones course at Palmetto Dunes or the Ocean Course at Sea Pines. You can’t beat a game of golf with an amazing view to boot; just beware the sea breezes! Van der Meer Tennis Center – The island is also known as a tennis retreat and one of the most famous tennis centers on the island is Van der Meer. This classic facility has been instructing newbies and pros on tennis since 1979. What’s your favorite attraction on Hilton Head Island? 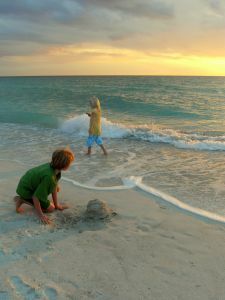 For more information about Hilton Head vacation rentals this summer, visit www.SunsetRentals.com or call 800-276-8991. Why do you choose to vacation on Hilton Head Island? 1) The beauty – You can’t beat the beauty of Hilton Head Island with its natural environment. You’ll find miles of ocean and beach, beautiful marshes, creeks and inlets, wildlife and architecture design to blend with our environment. 2) The weather – Most of the year on Hilton Head Island boasts mild weather. Some of the best times to visit are spring, fall and winter when the weather is cooler but a 70-degree day always pops up! It makes it great for playing sports, such as golf and tennis as the island is known for. 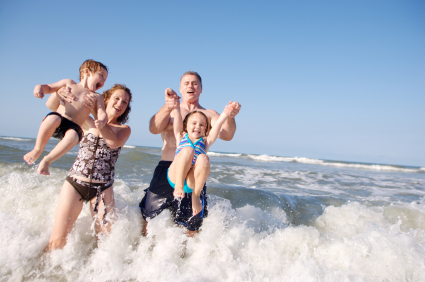 3) The activities – If you’re an active family, you’ll love all there is to safely do on Hilton Head. Choose from biking our 50 miles of paved bike paths, kayaking our creeks, swimming in the ocean, surfing, paddle boarding, golfing, playing tennis, parasailing, fishing and even jet packing! 4) The food – Our seafood here on Hilton Head is fresh and delicious! Enjoy your fill of crab, shrimp and fresh caught fish. But we offer even more than seafood. Our growing restaurant scene offers everything from Italian and French to Mexican and Mediterranean. 5) The shopping – You’ll never tire of the variety of unique shops and boutiques you’ll find on Hilton Head. Don’t miss Harbourtown, Shelter Cove Harbour and Coligny Plaza for some outstanding finds. If you’re looking for a deal, head to the Tanger Outlets. For more information about Hilton Head vacation rentals this summer, visitwww.SunsetRentals.com or call 800-276-8991. Head to the banks of Broad Creek this summer for a special Picnic in the Park every Friday on Hilton Head Island. At Shelter Cove Community Park, there will be a Sunset Celebration with live family-friendly music at the pavilion as the sun sets over the creek. Bring a beach chair and blanket and purchase a picnic from a local Shelter Cove merchant and enjoy a beautiful Hilton Head summer night. There will also be face painting and juggling demonstrations to entertain the kids. The event will be held every Friday 6-9 p.m. between June 19-August 14, 2015. If you’re visiting Hilton Head Island this summer, don’t miss your chance to enjoy live music in a beautiful setting. 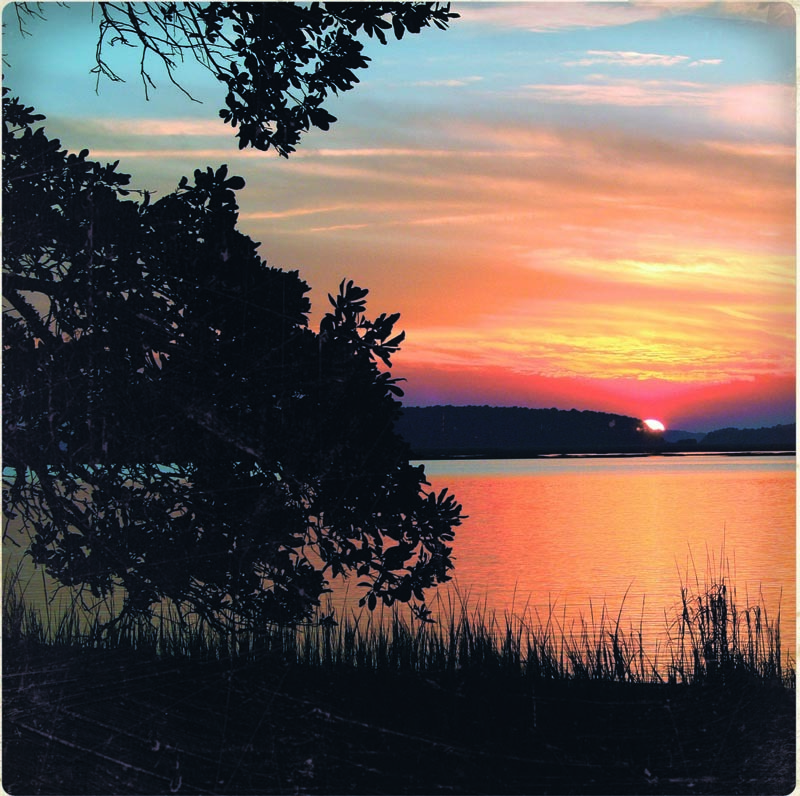 At the Bluffton Sunset Party Series throughout the summer, there will be live music, kids activities and food all by the May River. Held at Bluffton Oyster Factory Park, the event features food vendors, wine, soft drinks and a domestic and craft beer garden with a selection of 30 different brews. Tickets are $5 and children 12 and younger are admitted free. July 17, 4-9 p.m., featuring music from Native, Will Snyder and Horan Brothers Band, as well as an Arts & Crafts expo. There will also be fresh local seafood and face painting at this event. Mark your calendars for some live music, food and fun this summer in nearby Bluffton! While you’re visiting Hilton Head Island, get a real feel for local culture, including our delicious foods and crafts, by attending a local farmer’s market. Here are a couple that are nearby and make for a great local activity. Just off island in beautiful Bluffton is a farmer’s market held Thursdays evenings. Load up on everything from spices, produce and sweets to fresh seafood, kettle corn and peanuts. On island, head over to Sea Pines shops for weekday morning treat. 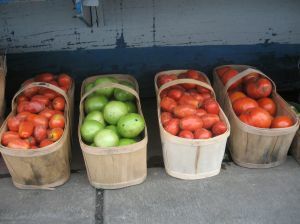 You’ll find fresh tomatoes, home-made pizzas, hand-made crafts, melons, sweetgrass baskets and even dog treats! Plus, you can shop all the great boutiques in Sea Pines while you’re there. What’s your favorite find at a Hilton Head Farmer’s Market? 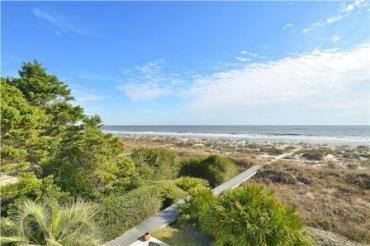 For more information about Hilton Head vacation rentals, visit http://www.SunsetRentals.com or call 800-276-8991. If you’re visiting Hilton Head Island in the summer, it can get a touch hot outdoors. A great family respite from the heat — or if you happen to get a rainy day — is The Sandbox, an interactive children’s museum on Hilton Head. 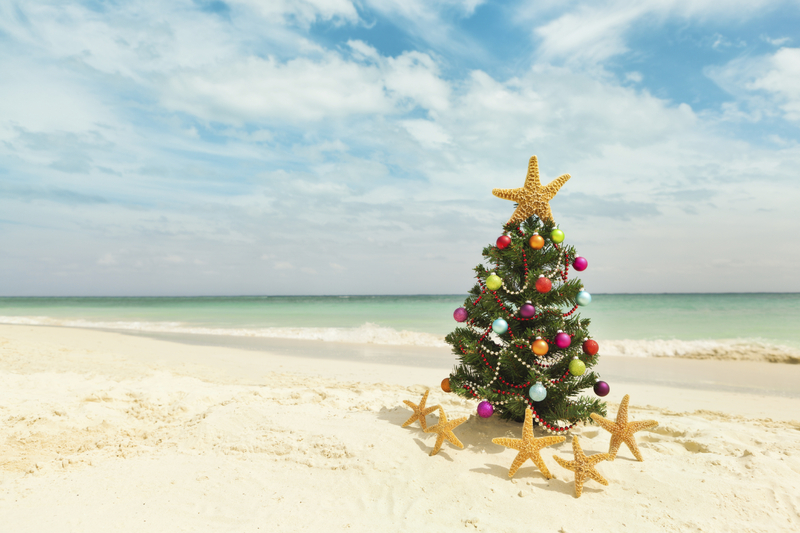 This July, they’re hosting Christmas in July, so you can really escape from the heat into all things Christmas and winter. At the event on July 22 from 10 a.m.-2 p.m., kids can play in the snow, see the museum decorated for Christmas, make an ornament, eat sugar cookies and even meet Santa! It’s a great break in the action during your Hilton Head vacation. While there, be sure to check out all of their children’s exhibits like the International Bazaar, bank, sandcastle and aquarium. Nonmembers are $10 per person and members are $5 per person. While beaches, sun, golf and blue seas might be on your mind when visiting Hilton Head Island, don’t forget about the delicious food, as well. We have many wonderful Hilton Head restaurants to choose from on the island serving everything from fresh seafood to pizza to ethnic foods. 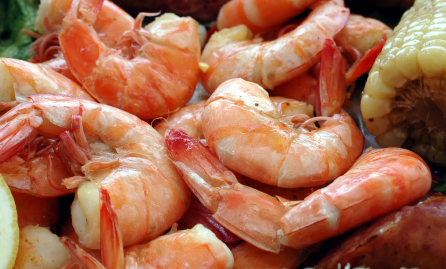 1) Shrimp – Steamed, fried, grilled or sauteed, anyway you eat shrimp on Hilton Head Island, it’s delicious. Caught fresh off the South Carolina coast, you’ll want to eat your fill of shrimp at one of our many Hilton Head seafood restaurants. Or visit a local market and cook up your very own Lowcountry boil. 2) Boiled peanuts – South Carolina may be best known for seafood, but locals know we have some of the best boiled peanuts around. You’ll likely see stands by the side of the road, serving up this delicious treat, which are raw peanuts boiled in salty water for a long time. Be sure to stop and try it out for yourself. 3) Grits – Pair your shrimp with some of our stone ground grits. We promised you’ve never had grits like these. Incredibly creamy and rich, you’ll never think of grits as just a breakfast food again! 4) Peaches – You may have heard of the Georgia peach, but we dare say the South Carolina peach is just as good. Try your peaches in a pie, as a cobbler, in a cocktail, in a muffin or even in a salad. Sweet and fresh! 5) She Crab Soup – A famous Lowcountry dish made from fresh blue crab and heavy cream is She Crab Soup. It’s delicious and a must-have when you visit Hilton Head Island. What are your favorite foods to eat when you visit the Lowcountry? For more information about Sunset Rentals, visit www.SunsetRentals.com or call 800-276-8991. Mom will love it if you give her not with another pair of earrings this year but with a trip to Hilton Head Island! Whether it’s a long weekend or a weeklong getaway, some time by the ocean and the beach to relax and rejuvenate is sure to bring a smile to her face. To make this even more enticing, we’ve put together a special Hilton Head Mother’s Day offer. When you stay at least three nights in a Sunset Rentals Hilton Head vacation rental, we’ll throw in a $25 gift card to a SERG group restaurant. SERG is the owner of many popular Hilton Head restaurants, including the Black Marlin Grill, Giuseppi’s Pizza and Pasta, Frankie Bones, One Hot Mama’s, Poseidon, Skull Creek Boathouse, Marley’s Island Grill, Wise Guys and The Lodge. The gift card should cover Mom’s portion of the meal for sure! Or if Mom is more of an outdoors type, instead of the gift card you can choose two free bike rentals. Mom and Dad or mother and son/daughter can explore the 50 miles of paved bike paths across Hilton Head Island. To book this deal, use code MOTHERSDAY2015 at www.sunsetrentals.com. 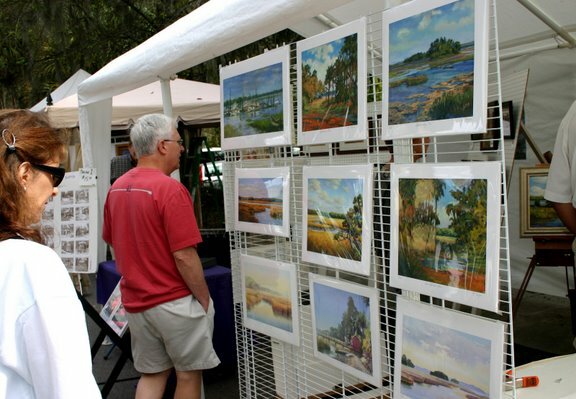 Whimsical and contemporary art in a myriad of styles and media as well as a separate market showcasing a wide array of unique and original crafts and gift items will be featured at the 7th Annual Hilton Head Island Art Festival at Shelter Cove Harbour May 23 – 24, 2015. The event is free and open to the public. Not only will there be plenty of art to see, but the 150 local and national juried exhibitors will also be present to discuss their work with potential investors and art enthusiasts. Prices for works at the event vary for all budgets and range from $25 to $30,000. The fine art exhibits include paintings, sculptures, photography, ceramics, glass, wood, handmade jewelry, collage and mixed media. The art and craft market will feature folk art, pottery, personalized gifts, handmade clothing, basket weaving, beaded utensils, candles, cork assemblage, fabric design, fiber quilts, fused wax & glass, hair accessories, handbags & accessories, handmade cards, leather, mosaic, wood, painted wood, plaster craft and stained glass. A Mediterranean-style deep-water marina with shopping and dining, Shelter Cove Harbour is located at 1 Harbourside Lane, directly across from Palmetto Dunes Oceanfront Resort. The area is a popular waterfront shopping and dining destination for locals and tourists to Hilton Head, and a wonderful setting for the art show. Festival patrons will have the opportunity to leisurely stroll through the exhibits and are encouraged to explore the wide array of eclectic artwork and engage the artists to gain a better understanding of their creative process. A free art giveaway will feature the work of participating artist Jim Lewk. No purchase will be necessary to register and the winner will be announced during the final hour of the art show. For Hilton Head accommodations during the art show, visit www.SunsetRentals.com or call 800-276-8991.